With 2017 coming to a close, the online movie database IMDb released their list of IMDb’s Top 10 Indian Stars of 2017. And the number one on the list definitely comes as a surprise considering he only made two films this year and it is none other than King Khan — Shah Rukh, who earned the top spot ahead of Aamir Khan and Salman Khan. 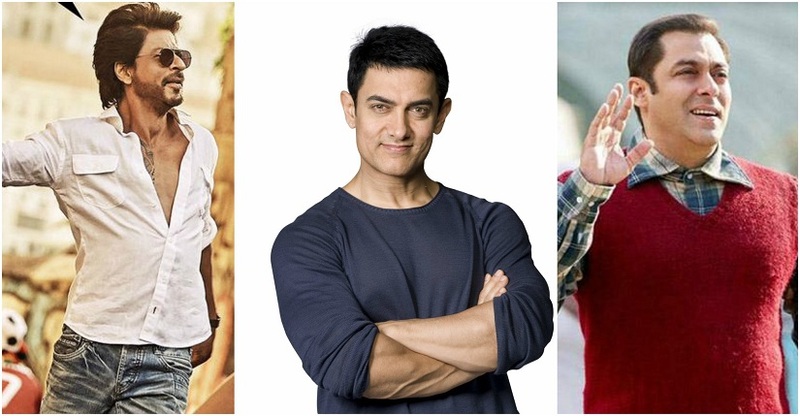 While Shah Rukh Khan featured in Raees and Jab Harry met Sejal, Aamir continued to deliver only one film a year with Secret Superstar. Salman Khan too has only had one release so far this year with Tubelight but his second film — Tiger Zinda Hai — is set to hit theatres on 22 December. The list also features three actors from the hugely successful Baahubali films. Tamannaah Bhatia is ranked No 4, Prabhas No 6 and Anushka Shetty at No 8. The other actors on the list include Irrfan Khan (No 5), Anushka Sharma (No 7), Hrithik Roshan (No 9) and Katrina Kaif (No 10). However, the absence of Akshay Kumar, Deepika Padukone and Priyanka Chopra, came as a shock to many. The top 10 stars list is compiled using IMDB’s STARmeter. Stars, who are consistently ranked the highest on the charts through the year, make it to the list.